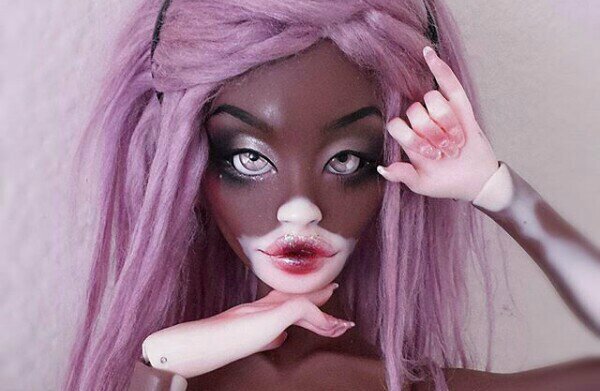 Let’s talk about this Winnie Harlow inspired vitiligo doll! Everyone has their way of contributing some good to the world. @kayke_k, a doll artisan, does this by painting eye-catching dolls that reflect the diversity we have. You can check our her work and see how amazing it is. Well, one of her creations has completely taken the internet by storm. She’s created a vitiligo Barbie like doll. You’ve probably seen it doing the rounds on the internet especially on Instagram and if you haven’t, now you know! The doll bears a striking resemblance to Winnie Harlow.